Shop our huge selection of fun, functional and high quality portable chargers, power banks, battery cases and portable external battery packs. Make sure you never miss a call or your favorite video because "it died." You're sure to find a portable battery pack charger or power bank that fits your cool active mobile lifestyle. They come in all shapes, sizes, colors, textures and forms. Buy large, four charge power banks or mini, one charge power banks . Buy subdued satin black portable chargers to neon pink portable chargers. Get external battery packs with multiple USB connections, some with soft rubber surfaces and key chain attachments. mobileiGo also offers portable solar chargers, portable solar power banks, ibattery and other battery cases and almost any kind of portable charger power bank you can imagine. You can even buy a water bottle, power bank combo device (when available); that's right. ..what??? Portable chargers and power banks make perfect gifts for all of your favorite friends, family or colleagues. Shop now below. We offer hundreds of brands, types, styles and colors for every need and every taste. 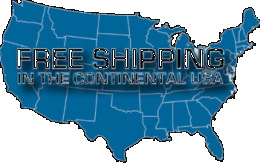 Get guaranteed fast friendly service, free shipping on most orders and hassle-free returns. Buy portable chargers, power banks and external battery packs here with confidence.